Automatically switches frequency to match insert. External water filter prevents clogs and drips. 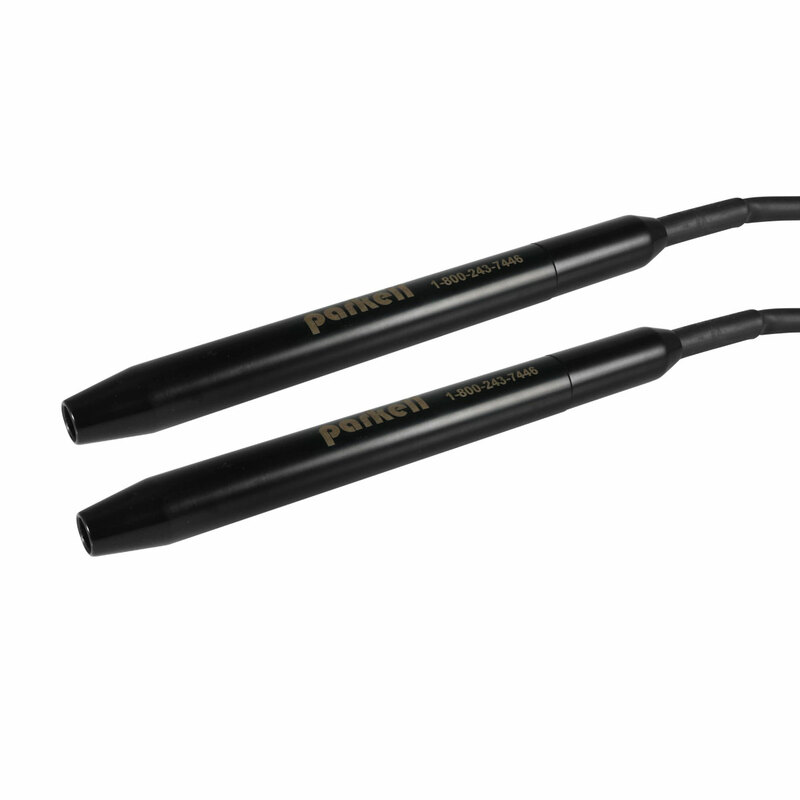 **PLEASE NOTE: Parkell scalers are designed to work with Parkell inserts. While other manufacturers claim to produce inserts that are compatible, Parkell cannot guarantee proper performance therewith. Please see our Warranty Policy for additional information. 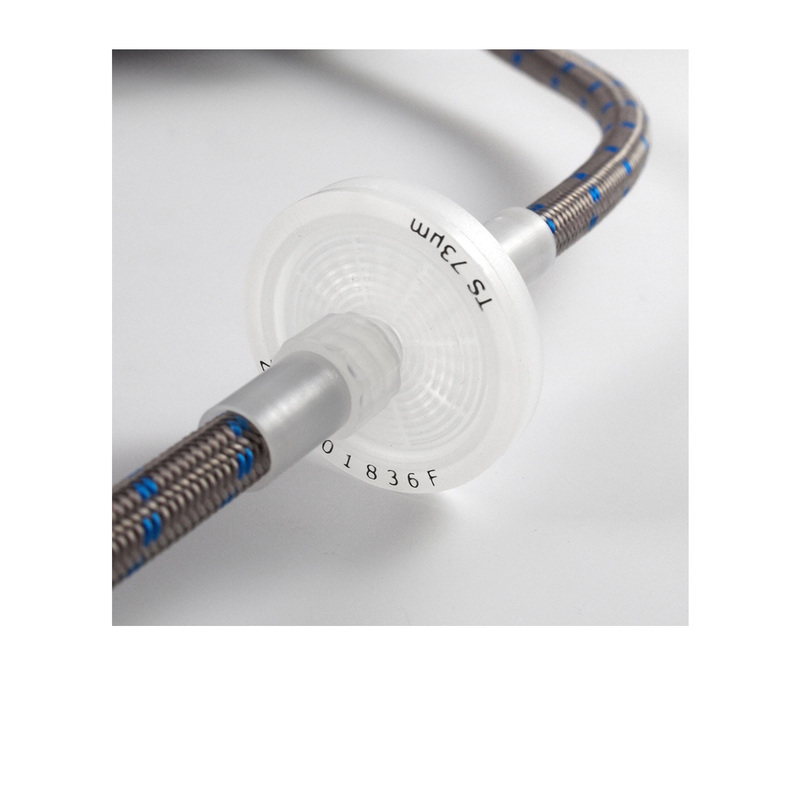 THE WORKHORSE – The Hardest Working and Most Practical Ultrasonic Scaler. 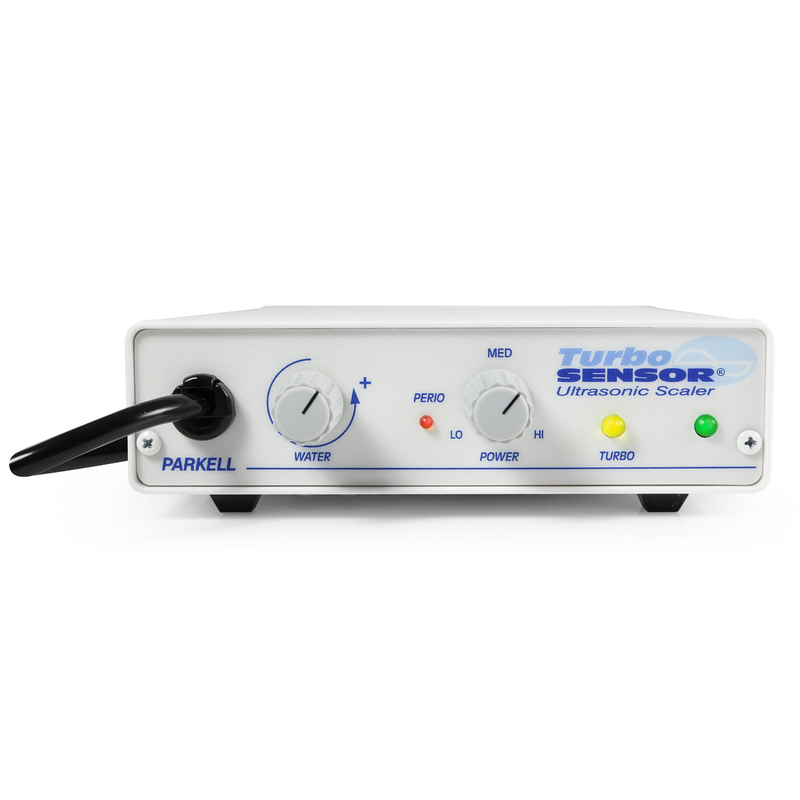 Parkell’s popular TurboSENSOR™ Ultrasonic Scaler combines true versatility with intuitive operation. 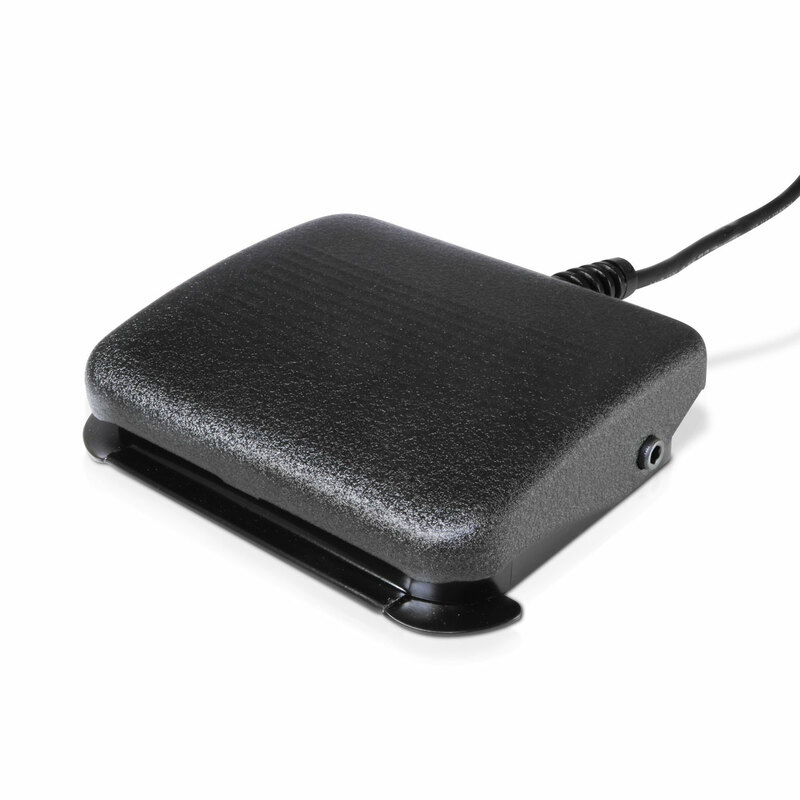 Its smart-circuitry senses whether you’ve inserted a 25KHz or 30KHz tip and automatically switches operating frequency to match the insert in the handpiece. 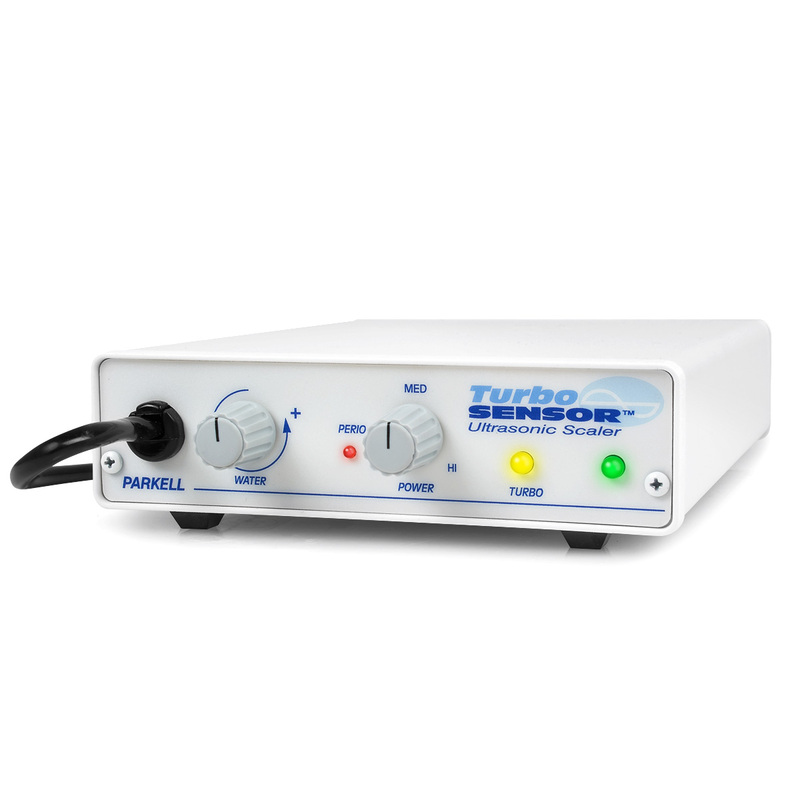 For patient comfort during routine scaling, the TurboSENSOR offers an expanded low-power debridement mode. An orange LED on the control panel tells you when you are operating in this mode. At the other end of the control panel, the TurboSENSOR provides a higher maximum power setting for extreme calculus blasting. For removal of stubborn calculus, simply increase pressure on the included foot pedal and you’ll get an instant turbo power boost.